Steve Murrin is the known as the “Original” Biker Lawyer. He is a trial lawyer, biker and travel writer, who resides in Northern Atlanta. He was raised in New York’s beautiful Hudson Valley and has a summer lodge there complete with an old Fat Boy he rides through the Catskill Mountains. Steve has ridden and wrenched motorcycles since childhood. He collects Harleys of the knuckle and pan variety and pilots a new road glide as his ‘daily driver’. While Harleys are his passion he has several Ducatis and Aprilias and even still owns and rides the 1976 Triumph Bonneville he bought in high school, seen in this picture. Steve earned his Bachelor Degree with honors in Criminal Justice from St. John’s University in New York City in 1986, and his Doctorate in Jurisprudence from Western New England University in 1990. Steve spent 7 years as the Chief Assistant District Attorney of Greene County, New York, and relocated to the South in 1997. Steve worked in the Atlanta DA’s Office, ‘Major Crimes’ Division for several years, before starting the boutique Law firm of Murrin, Wallace and Associates, L.L.C., specializing in representing injured motorcyclists, motorcycle clubs and motorcycle rights organizations. Steve on his ’76 Bonny at Daytona Beach. He’s owned this bike for over 35 years. As a lawyer, Steve is known as “The American Biker Lawyer” and goes by “Irish”, a nickname that stuck since childhood. He’s ridden through Ireland, the birthplace of his Grandparents, on a Harley many times. As a writer, Steve has published seven motorcycling books and publishes monthly articles on his motorcycle travels for numerous motorcycle magazines and moto-travel blogs. He is the author of “Murrin’s Musings” as well as the “The Essential Saddlebag Manual” and the “Curves in the Road” book series, which can be read on this web site. Steve has tried over one hundred jury trials in 7 different states and in twenty different counties in Georgia and has recovered millions of dollars for his biker clients. He has more motorcycle injury trials and verdicts than any other lawyer in the state of Georgia. Steve is a frequent speaker at legal seminars and motorcycle rallies around the country on legal issues affecting motorcyclists. He has sat on the Board of Directors of Georgia’s March of Dimes Foundation “Ride to Save Babies” and was it’s honorary chairman, raising over 1 million dollars in the biker community towards research regarding premature birth and neonatal care for preemie infants. Steve’s own biker charity, the “Busted Knuckle Scholarship Fund,” is a not-for-profit organization providing tuition assistance to those seeking careers in motorcycle mechanics, restoration and fabrication. Steve has also been appointed by the Supreme Court of Georgia as a leader in their Mentorship Program, assisting young lawyers transitioning into the complex world of the Practice of Law. Steve also sits on the board of the Governor’s Motorcycle Safety Task Force in Georgia which studies motorcycle accidents and works to try to reduce motorcycle fatalities. He is General Counsel to ABATE of Georgia, a position he has held volunteering his time for over a dozen years. He is general counsel to dozens of motorcycle clubs around the State of Georgia. 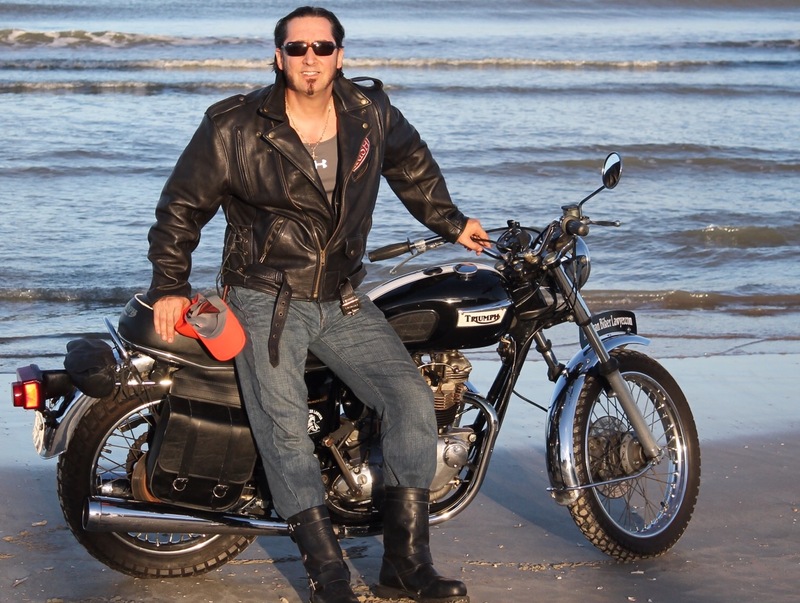 Steve is a zealous advocate for his biker clients and understands their lifestyle. He has ridden though all 50 states, 5 of the 7 continents and is a Life Member of HOG, AMA and ABATE at a national as well as a state level. Steve’s credo is: “In order to be a good biker lawyer you have to be compassionate advocate for bikers. You have to understand what it is to be a biker and you must be an aggressive lawyer willing to go to the mat for your client no matter what the odds”.